Looking for the iPhone & iPod Touch version? Click here! 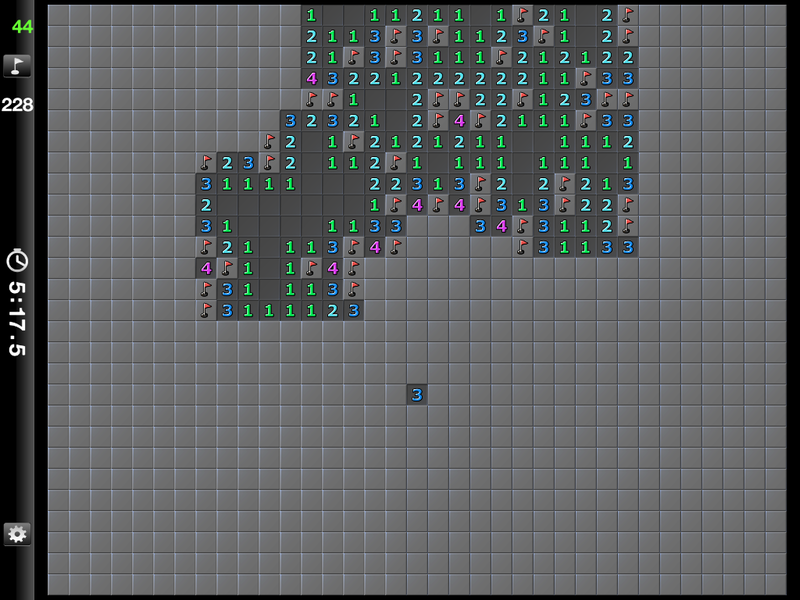 Minesweeper Boom! 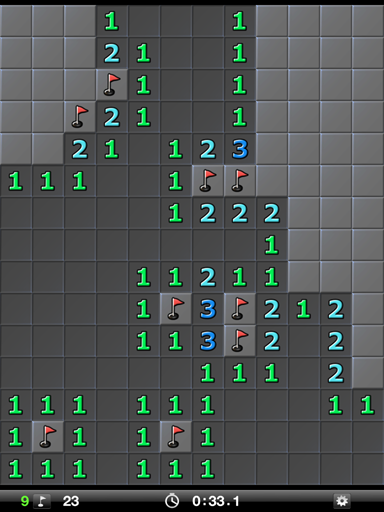 is a fun minesweeper game with 13 board sizes and 6 bomb levels, with quick access buttons to play the 3 classic Minesweeper boards of Beginner, Intermediate and Expert. 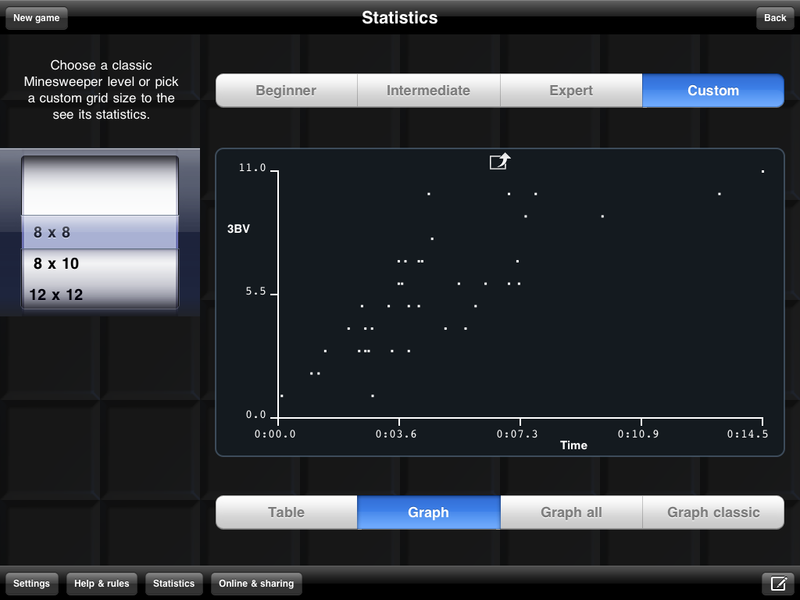 View and graph your stats and share them on Facebook. A first-touch will never reveal a bomb! Use the double tap to reveal option to avoid accidental reveals. 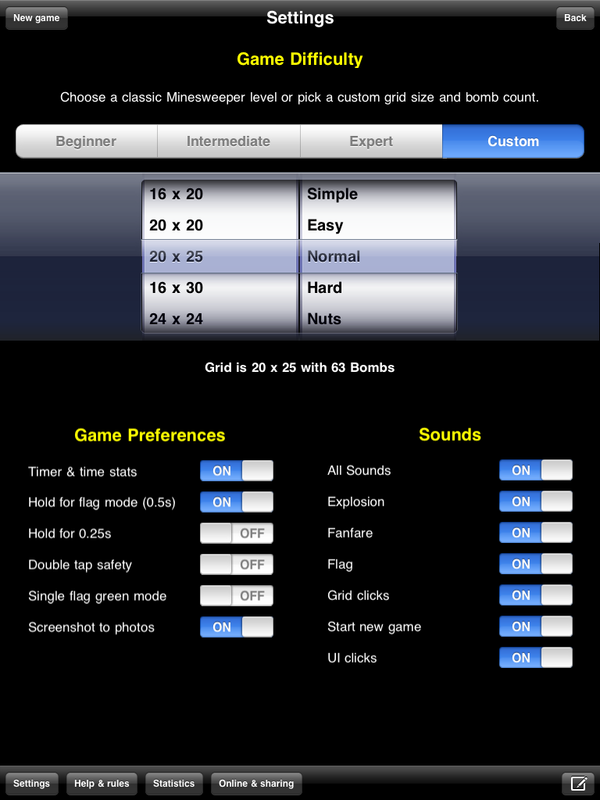 Press and hold to flag suspected bomb locations (now with shorter time option). 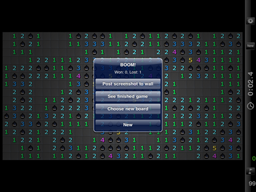 Your friends play Boom! too? 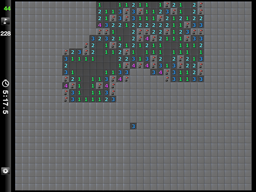 You can publish your wins with screenshots to your Facebook wall for the world to see. Don't like hearing a particular sound? Disable it! 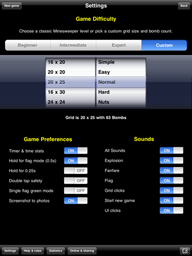 You can enable and disable individual sound effects. 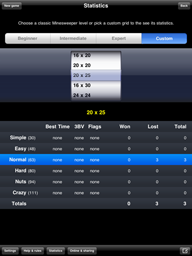 Game preferences, states and statistics and current game in progress are saved on exit and restored on game start. Statistics of the games played are saved. 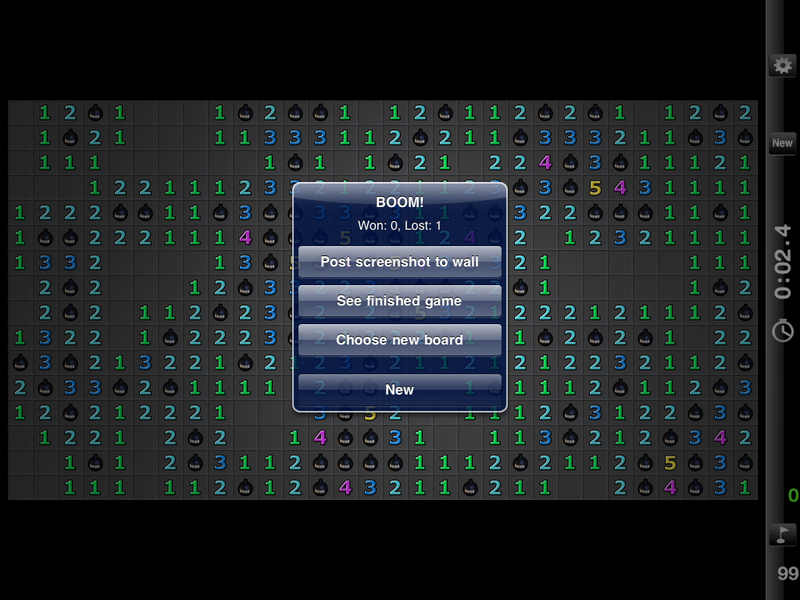 For each board size and difficulty level the wins, losses and best times (with 3bv for that time) are kept and displayed in Boom! 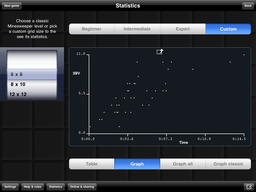 's statistics screen. 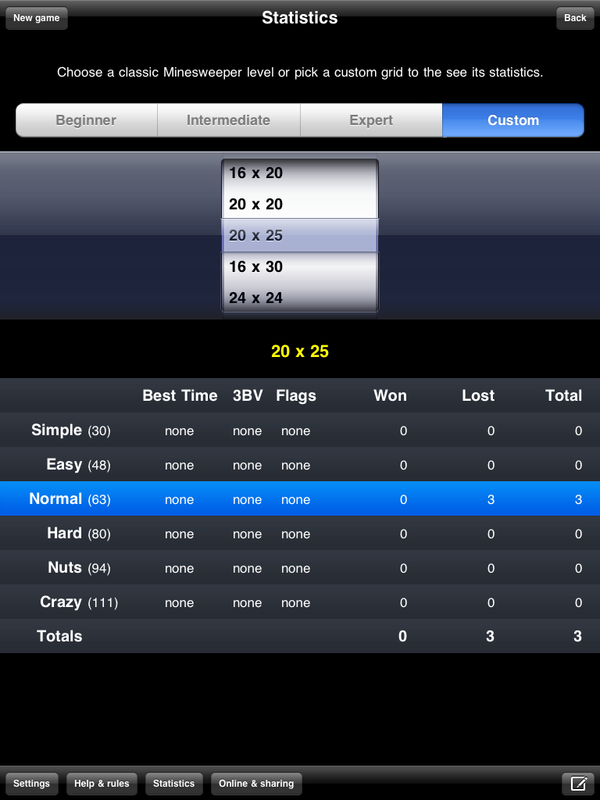 Graphs of your game times and difficulties can be viewed and uploaded to Facebook. 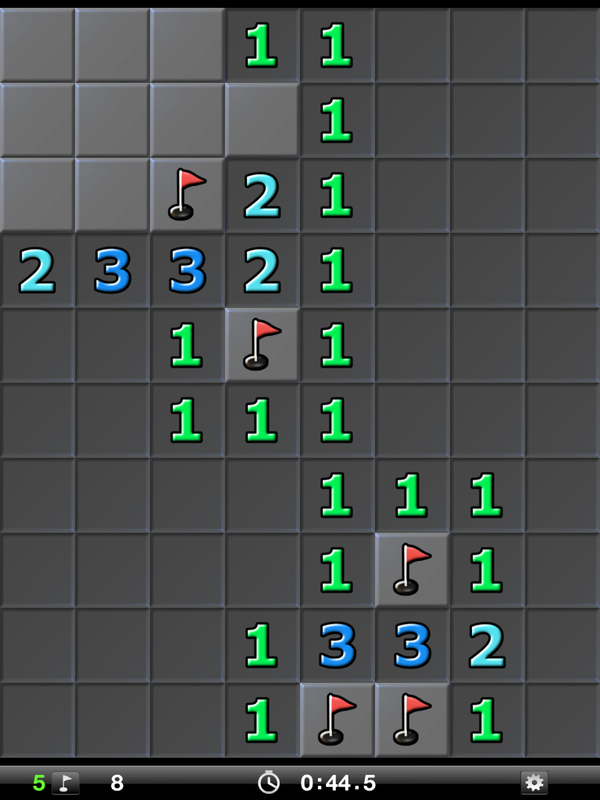 When you tap on a square that is empty then all empty squares up-to and including the first border of numbered squares will be revealed. 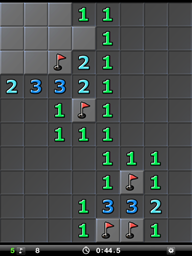 If you tap on a square and it shows a number then only that square will be revealed. Boom! is constantly being updated to make the game better and more fun! We are currently planning more exciting social/Facebook/Twitter features and some UI additions for future updates. Starts a new game, loses the current game if there is a game in progress, only visible when a game is finished. When a game has finished this button will upload a screenshot to Facebook, only visible when a game is finished.